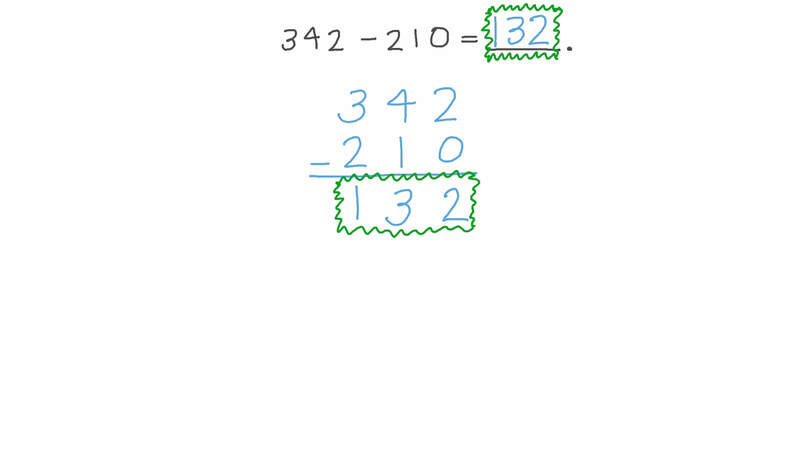 In this lesson, we will learn how to subtract multidigit numbers with regrouping, focusing on numbers including zero. 3 4 2 − 2 1 0 = . 3 5 7 3 6 − 3 5 0 0 0 = . 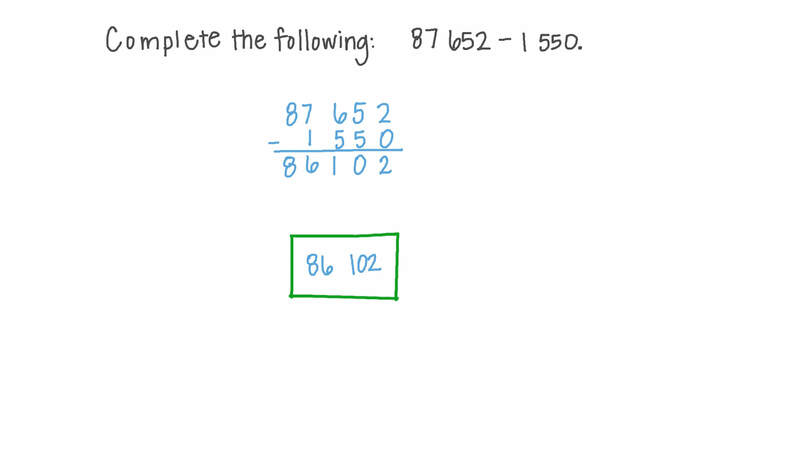 Complete the following: 8 7 , 6 5 2 − 1 , 5 5 0 . Calculate 6 0 3 , 9 0 7 − 4 8 6 , 1 3 5 . Fill in the blank in the following. 3 6 0 0 4 6 2 − 2 3 4 2 2 0 5 . . . . . . .
A boy had 5 5 0 p i a s t r e s and spent 2 2 5 p i a s t r e s . How much money was left? 7 4 0 − 1 0 5 = . 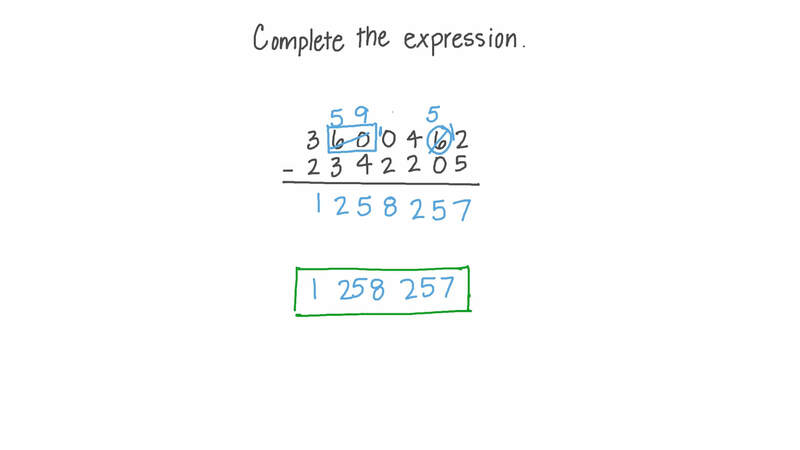 Complete the following: 3 3 , 3 0 7 − 1 , 3 0 0 . Fill in the blank in the following. 9 2 5 8 7 7 0 − 1 7 2 4 7 6 8 . . . . . . . Fill in the blank in the following. 9 1 7 9 0 1 0 − 1 9 8 8 6 3 5 . . . . . . . Fill in the blank in the following. 6 6 0 1 7 0 3 − 5 3 7 9 4 2 4 . . . . . . .
1 1 6 0 5 − 1 1 0 0 0 = . Calculate 9 0 0 , 0 5 9 − 1 2 5 , 5 3 9 .